Hypercarotenogenesis in green algae evolved by mutation of PSY that increased its transcription at high light, disintegration of the eyespot in Dunaliella and acquisition of the capacity to export carotenoids from chloroplasts in Haematococcus. Carotenoids (Car) are lipid-soluble pigments synthesized in plants, algae, bacteria and fungi. Car have strong antioxidative properties and as such are utilized to reduce the danger of different diseases in humans. Two green microalgae are utilized as rich natural sources for Car: Dunaliella salina/bardawil accumulates 10% (w/w) β-carotene (βC), which is also pro-vitamin A, and Haematococcus pluvialis accumulates 4% (w/w) astaxanthin (Ast), the strongest antioxidant among Car. D. bardawil accumulates βC in plastoglobules within the chloroplast, whereas H. pluvialis deposits Ast in cytoplasmic lipid droplets (CLD). In this review we compare the hypercarotenogenic responses (HCR) in Dunaliella and in Haematococcus and try to outline hypothetical evolutionary pathways for its origin. We propose that a mutation in phytoene synthetase that increased its transcription level in response to high light stress had a pivotal role in the evolution of the HCR. Proteomic analyses indicated that in D. bardawil/salina the HCR evolved from dissociation and amplification of eyespot lipid globules. 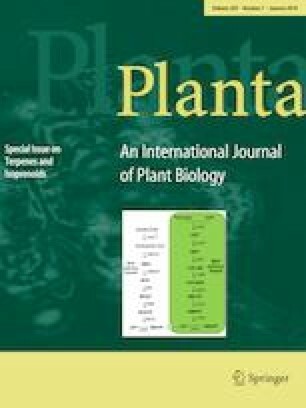 The more robust HCR in algae that accumulate carotenoids in CLD, such as H. pluvialis, required also acquisition of the capacity to export βC out of the chloroplast and its enzymatic conversion into Ast. The online version of this article ( https://doi.org/10.1007/s00425-018-3050-3) contains supplementary material, which is available to authorized users. We wish to thank Dr. Aviv Shaish, The Bert W. Strassburger Lipid Center, Sheba Medical Center, Tel-Hashomer in Israel for critical comments and helpful discussions.